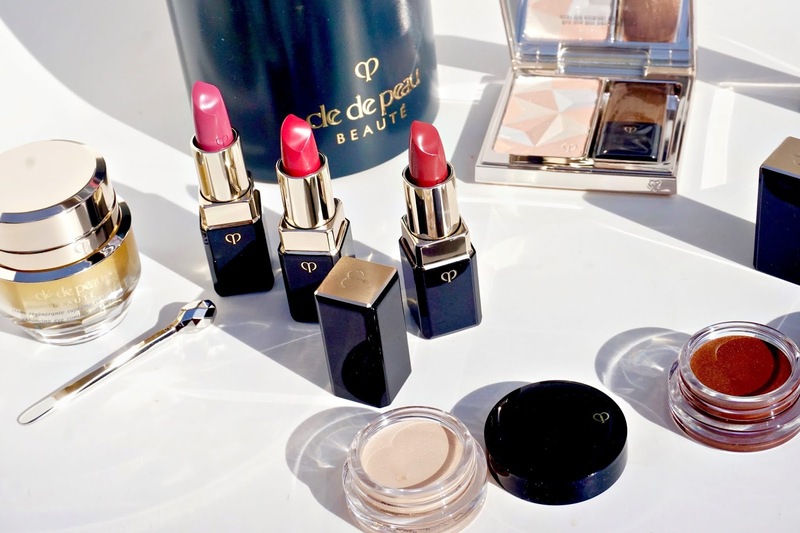 The *Clé de Peau Beauté Spring/Summer 2019 Collection (also available at Nordstrom and Neiman Marcus) has arrived, delivering a brilliant range of elevated textures and shades that are equal parts modern and wearable. In the past few weeks, I have been asked by multiple readers and followers for a swatch-heavy review of the new launches and I am happy to deliver such content in this post! 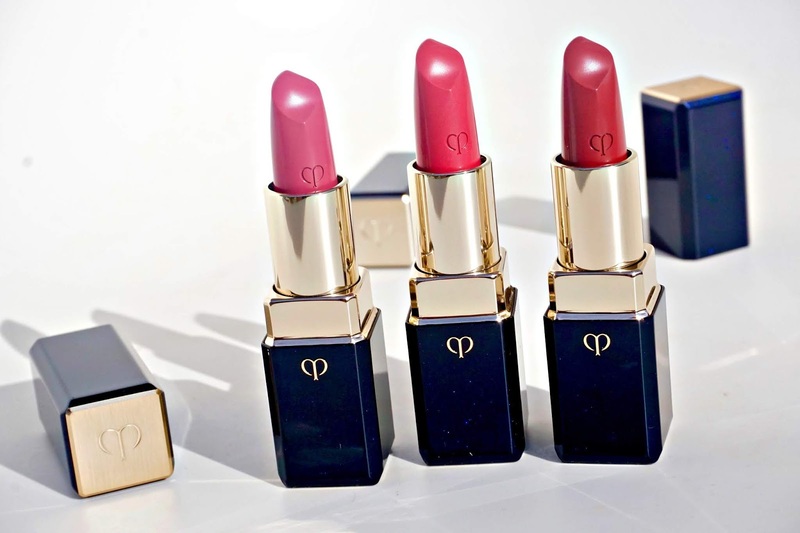 From a breathtaking hybrid lip color (feels like a balm, yields color like a lipstick) to one of the most-lauded eye creams on the market, prepare to fall in love with Clé de Peau Beauté all over again. 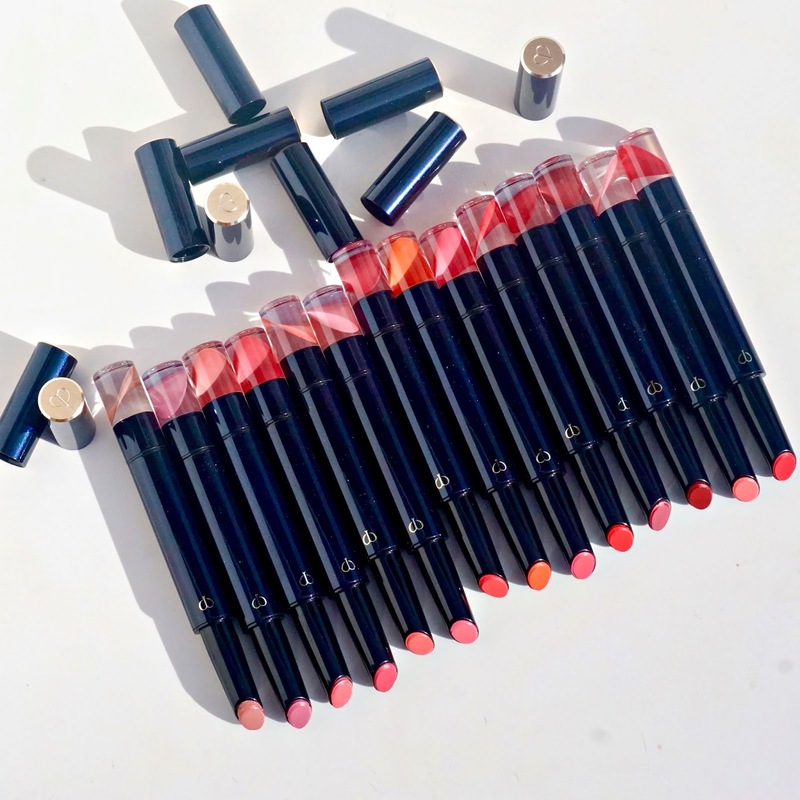 First up, the *Clé de Peau Beauté Refined Lip Luminizer (also available at Nordstrom and Neiman Marcus) is a new and improved version of their original Enriched Lip Luminizers; instead of purchasing the case and lip color bullets separately, they now come together and the bullets are easily retractable to minimize waste. Hydrating and plush, the formula truly feels like a buttery treatment that just happens to impart major color payoff. 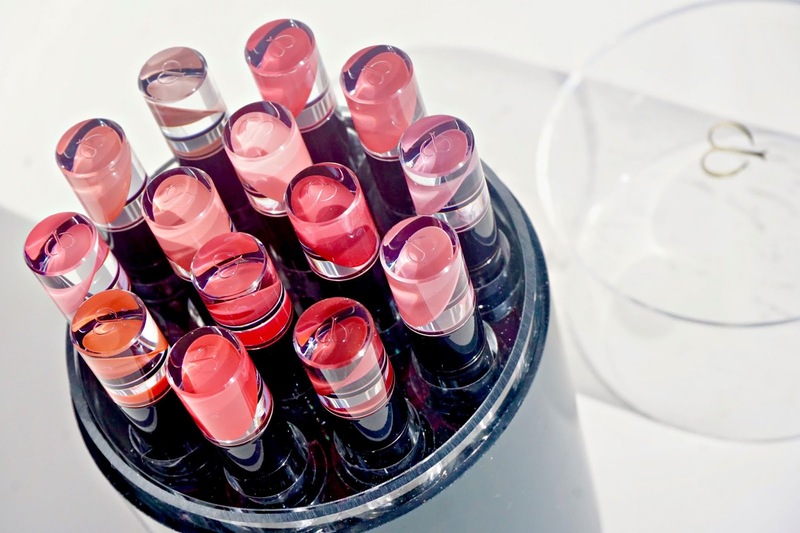 The shade lineup is simply resplendent with an ample range of nudes, pinks, corals, berries and reds to suit every taste and complexion and I deeply appreciate the fact that the end cap of the tube displays the tone housed within. Some of my favorite colors in the spectrum include the demure Old Rose, face-brightening Perfect Peach and creamy baby rose Porcelain Pink (worn HERE) but I'm fairly certain I could integrate every shade into the mix at some point in my makeup process! If you seek moisture, an effortless application (no mirror needed!) 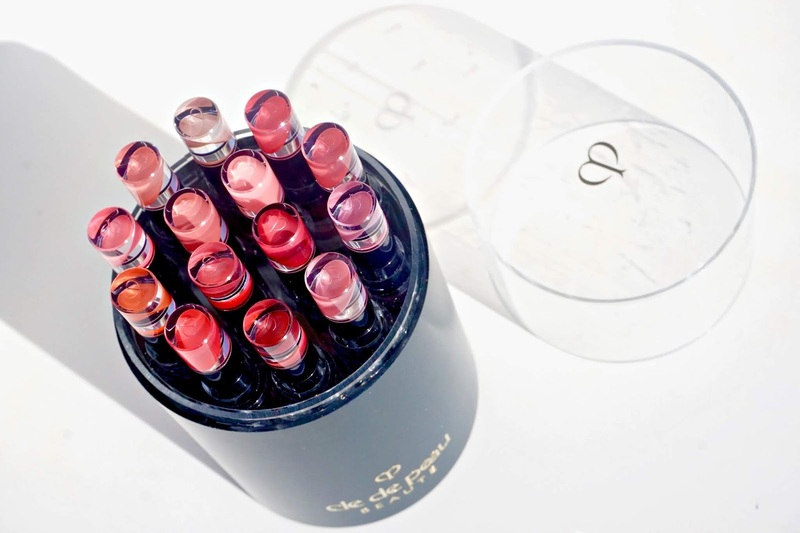 and an infusion of cellophane color, then the *Clé de Peau Beauté Refined Lip Luminizer (also available at Nordstrom and Neiman Marcus) is unequivocally for you. 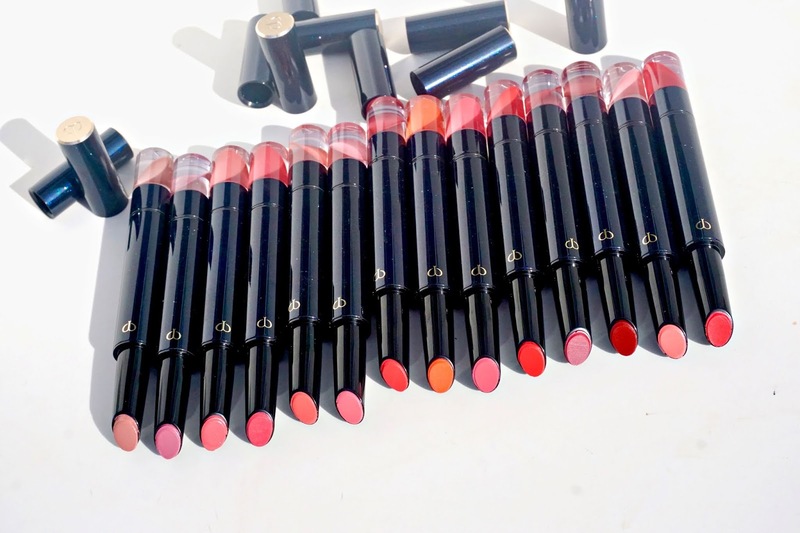 The *Clé de Peau Beauté Refined Lip Luminizers and their direct swatches below. 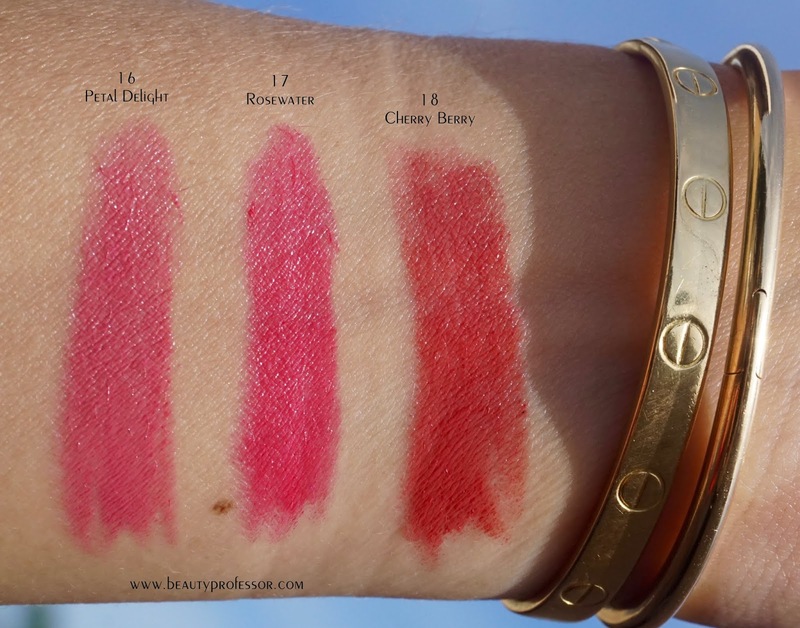 Swatches of the *Clé de Peau Beauté Refined Lip Luminizer in direct sunlight. 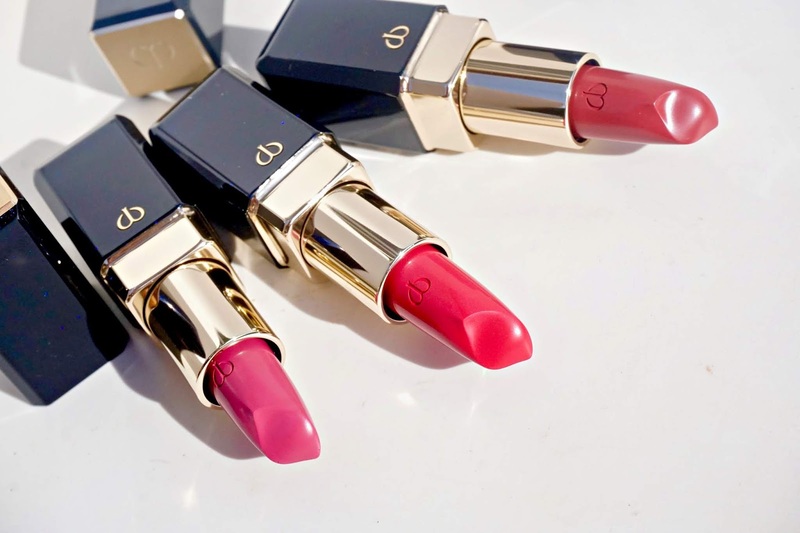 Which shade(s) will you choose? 16 Petal Delight: A cool and creamy violet rose pink. 17 Rosewater: A bright pink with subtle fuchsia undertones. 18 Cherry Berry: A lush yet muted neutral cherry red...very unusual and beautiful. 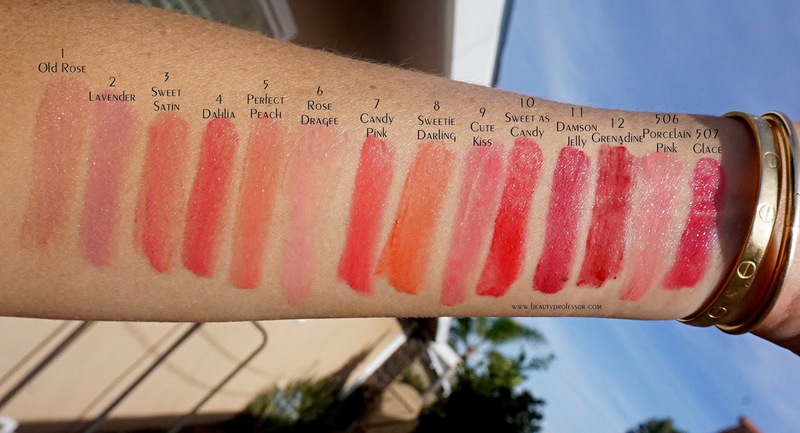 Swatches of the *The Lipstick in direct sunlight. 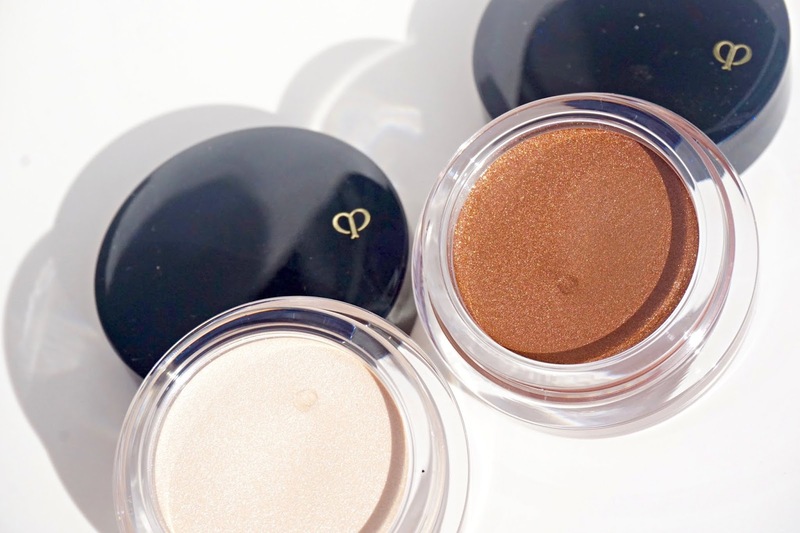 For eyes, there are two new shades (other shades swatched HERE) of the *Clé de Peau Beauté Cream Eye Color Solo (also available at Nordstrom and Neiman Marcus) in #308 and #308. The buildable texture of the formula is so easy to work with; lightweight and blendable, it can be applied with fingers or brushes and wears flawlessly, resisting creasing for hours. 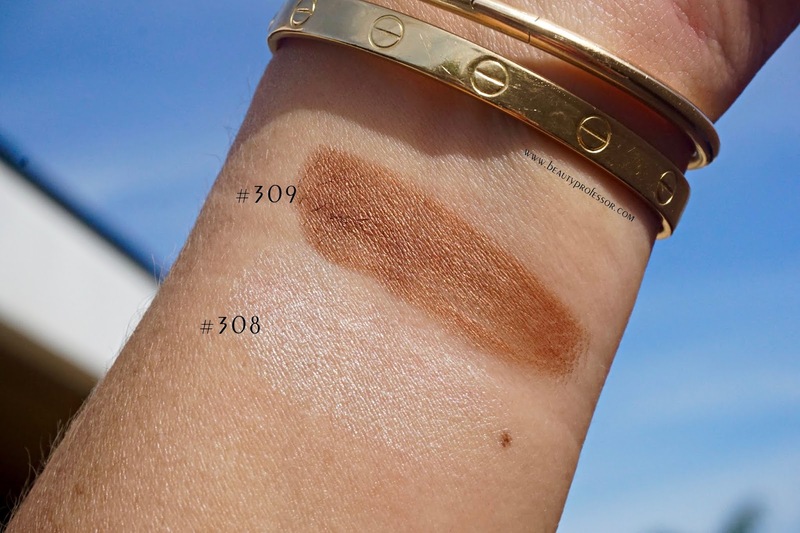 #308 is a gilded cream tone that looks lovely as a transition hue and highlight by the brow bone and #309 is a perfect radiant bronzy light brown...the shade in this formula for which I have been waiting. It is pigmented and neutral and so effortless as an overall wash of color. I cannot recommend it enough...keep scrolling to see both shades in action on my eyes! 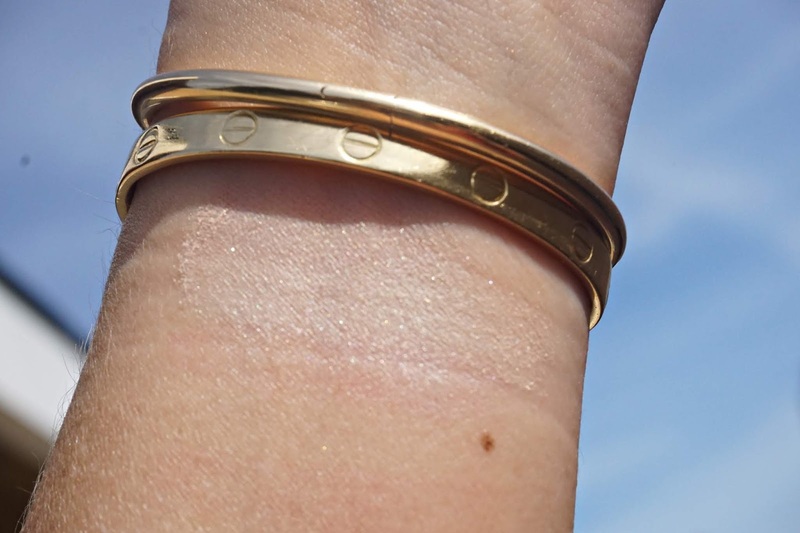 Swatches of the *Clé de Peau Beauté Cream Eye Color Solos in #308 and #309 in direct sunlight. 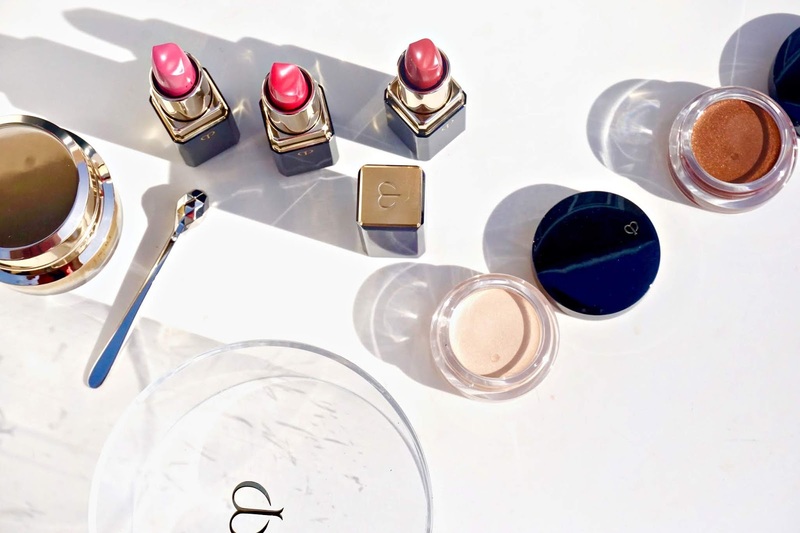 Always exquisite *Clé de Peau Beauté Luminizing Face Enhancer in #18 Orange-Pink (also available at Nordstrom and Neiman Marcus) rounds out the Spring/Summer 2019 color releases with a gossamer veil of slightly warm luminescence. 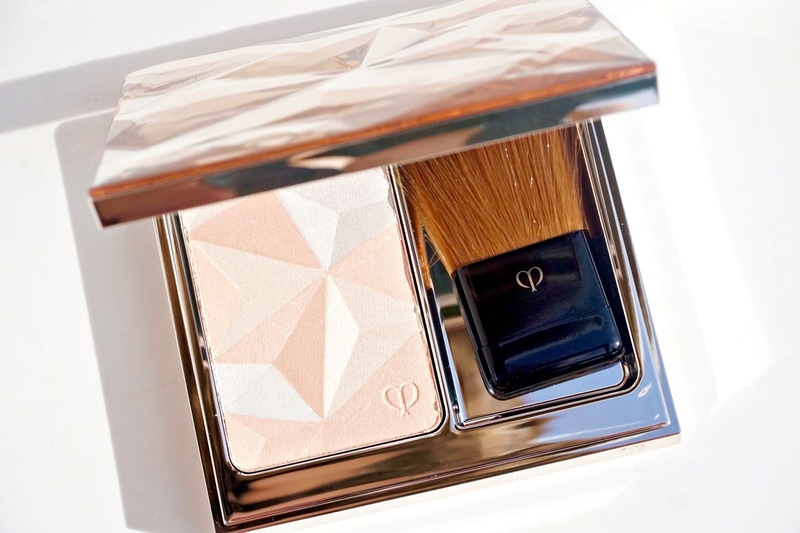 The multifaceted angles of the powder can be swirled together for a harmonious and subtle incandescence that looks stunning on the high points of the face. 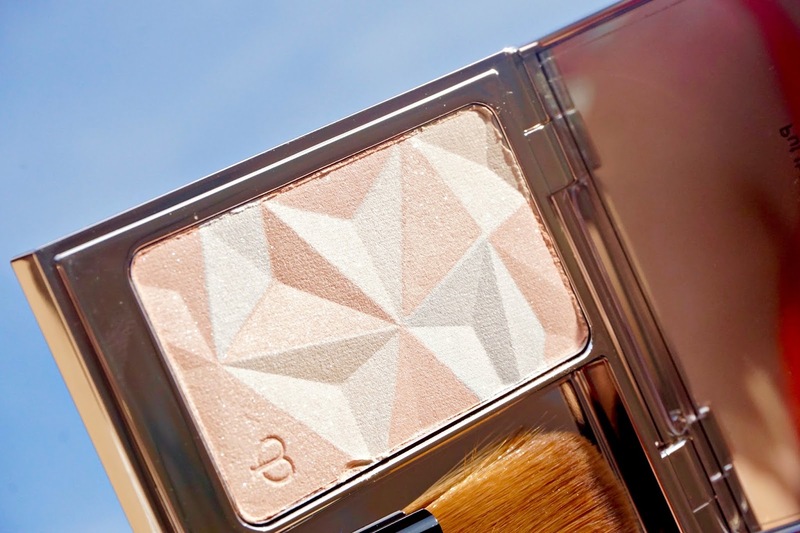 A light swatch of the *Clé de Peau Beauté Luminizing Face Enhancer in #18 Orange-Pink in direct sunlight. 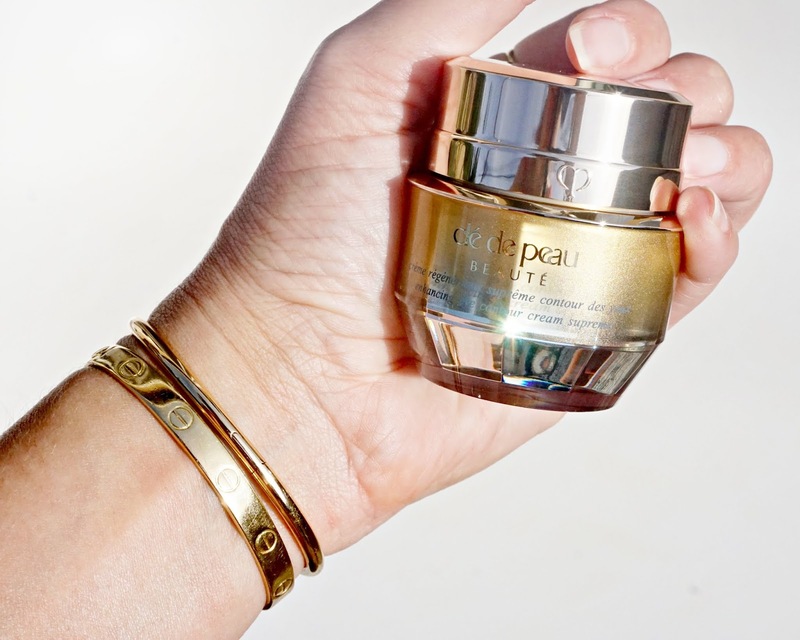 Finally, the cult-favorite *Clé de Peau Beauté Intensive Eye Contour Cream (also available at Nordstrom and Neiman Marcus) has recently updated its formula for even more orbital area transformation results. The cream--which comes with a clever cool-tip metal applicator wand--is lightweight yet nourishing and absorbs instantly (thereby playing well with subsequent eye makeup application). 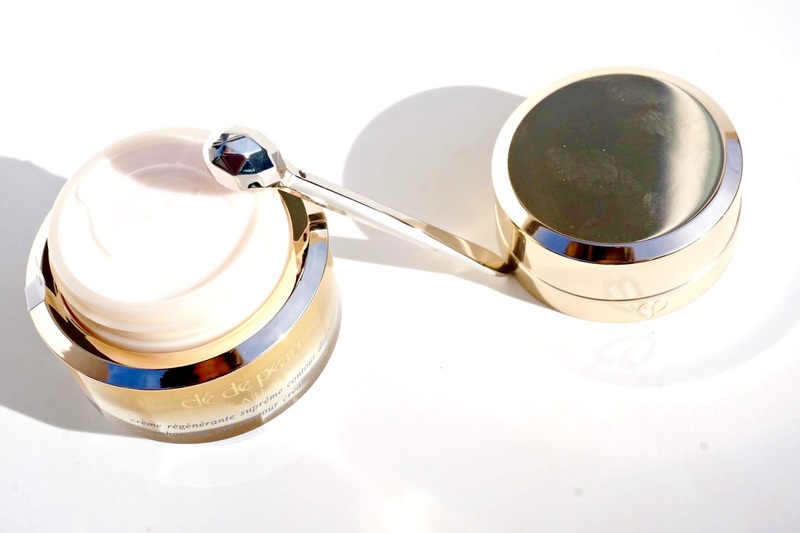 I have been testing this for the past week and am very impressed by the way it delivers firmness, moisture and new life to my oft-sleep deprived eyes. Additionally, the review on this formula (which I hadn't read until recently) are stellar, thereby making me excited to continue including this in my current routine. What it is: A luxurious, multi-benefit eye cream that provides the ultimate experience in age defiance by tightening contours, smoothing texture and brightening skin for visibly radiant, beautifully defined eyes. What it does: It dramatically transforms visible sagging, loss of firmness, dark circles, dullness and wrinkles while delivering powerful moisture for phenomenal youthful resilience. It also helps prevent the decomposition of collagen while firming skin around the eyes. Star fruit leaf extract and intensive brightening ingredient 4MSK improve the appearance of darkness, dullness and discoloration. It's rich, ultra-creamy and melts into skin, and it comes with a specially designed beauty massage tool coated in pure platinum that helps increase surface circulation during massage and improve overall tone for more well-defined eye contour areas. How to use: Use in the morning use before UV-related products. In the evening, apply as last step in your skin care regimen. With your fingertip or beauty massage tool, thoroughly massage an appropriate amount of cream around the eye. 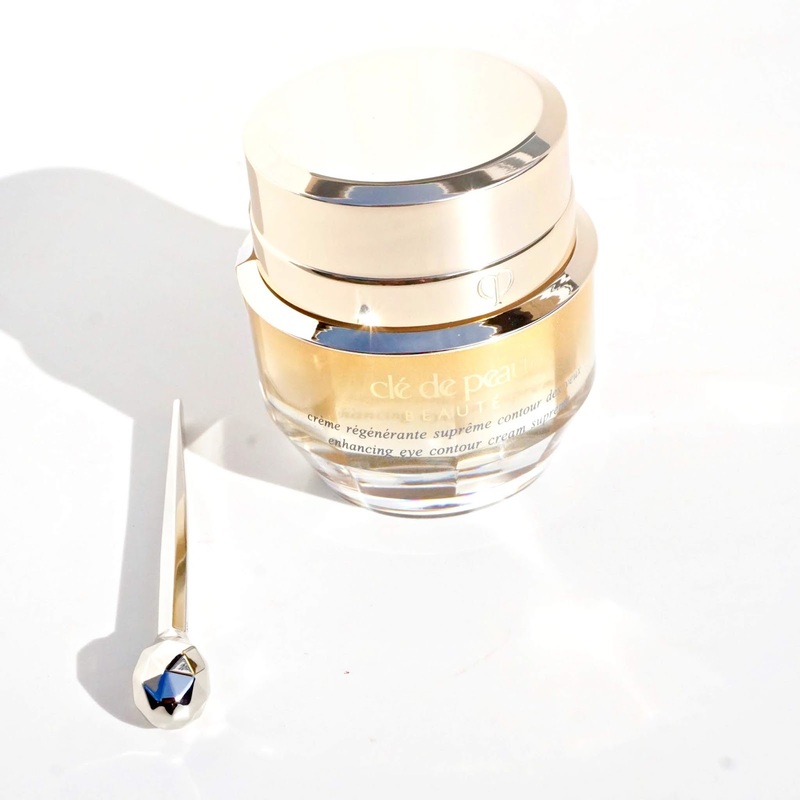 Wearing the *Clé de Peau Beauté Refined Lip Luminizer in Perfect Peach. 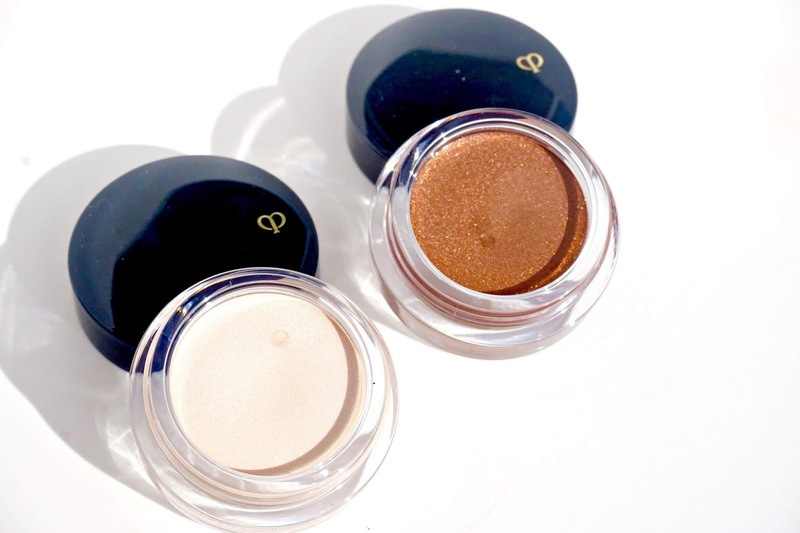 Eye look courtesy of the *Clé de Peau Beauté Cream Eye Color Solos in #308 and #309. // STYLE NOTES // When it comes to business casual, this is my comfort zone...tee, blazer, loafers and denim with a fresh cut. Beige Tee: Clean and basic, the warm beige tone matches everything. Blush Blazer: This one is linen with a double breasted effect...here are similar corduroy and classic versions as well. GRLFRND Addison Split Hem Boot Cut Jean: I have been hearing lots of good things about the GRLFRND Jeans line and consequently was excited to pick up this pair with a gift card recently. Long and lean, they lengthen the body and the split hem is an unexpected feature that feels fresh and unique. Note: This particular pair has no stretch and runs a bit small...I generally wear a 25 or 26 and picked up a 27 for a very slim fit. Vintage Gucci Silk scarf in neutral tones (worn as a belt): Forever a part of my style arsenal, this multitasks in my hair, on my waist and even as a purse accent. 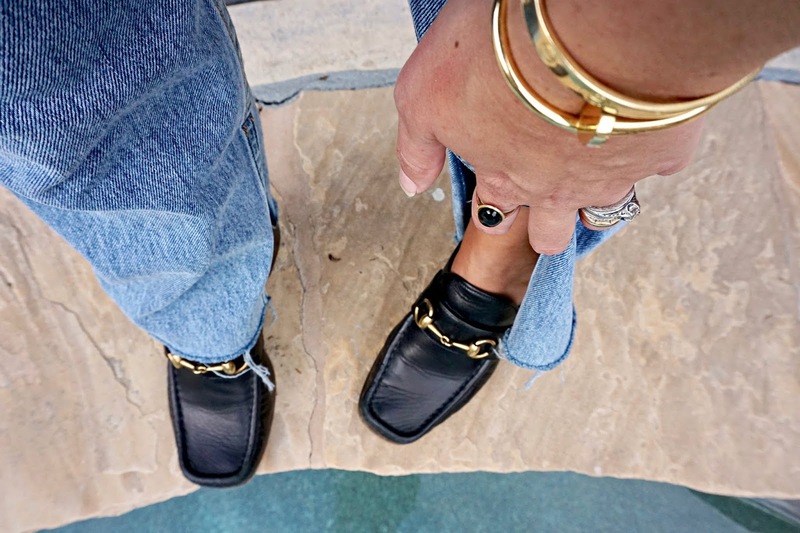 Gucci Horsebit Loafers: Ever a classic, I wear this particular pair 1-2 times a week. Wearing the *Clé de Peau Beauté Refined Lip Luminizer in Damson Jelly. I have my eye on weekend sales. Anthropologie: An extra 40% off sale items...I am intrigued by this timeless bell-sleeved sweater, lively satin blouse with perfect shoulder details and this color block cardigan which screams springtime. Equipment France: Deep markdowns on styles I can wearing this minute. I have the Warsaw Trouser, blush tone Marcilly Shirt and cozy black Bay Sweater on my radar. Neiman Marcus: Up to 40% off sale items including these honey colored Dries Van Notes Booties, this versatile cashmere duster (which comes in a variety of colors) and this Eileen Fisher Hooded Anorak (I never have something for the rain when I need it!). Nordstrom: Up to 50% off a wide range of styles including this perfect Free People Faux Fur Coat (wish I was wearing it now! ), this minimalist blazer in a host of wearable shades and these 7 for All Mankind Josefina Boyfriend Jeans which gloriously have no holes. Oh, and I recommend this Madewell Ballet Velvet Wrap Top (mow on major sale)...I have it in two shades and wear both frequently. Finally, these aren't really work-friendly but I super want these YSL leather slides (warmer days ahead!) and their sale price is what will finally compel me to "add to cart." The Real Real: My love for this site runs deep and I find myself ordering something designer (and often vintage) from its authenticated inventory at least once a month. I have my eye on this Missoni scarf, Isabel Marant Booties (with tags!) and black Burberry Trench Coat. Bottom Line: I hope you enjoyed this swatch-heavy overview of the *Clé de Peau Beauté Spring/Summer 2019 Collection (also available at Nordstrom and Neiman Marcus); all of the textures and shades are sublimely wearable and flattering for a spectrum of skin tones, making this the collection to pursue! 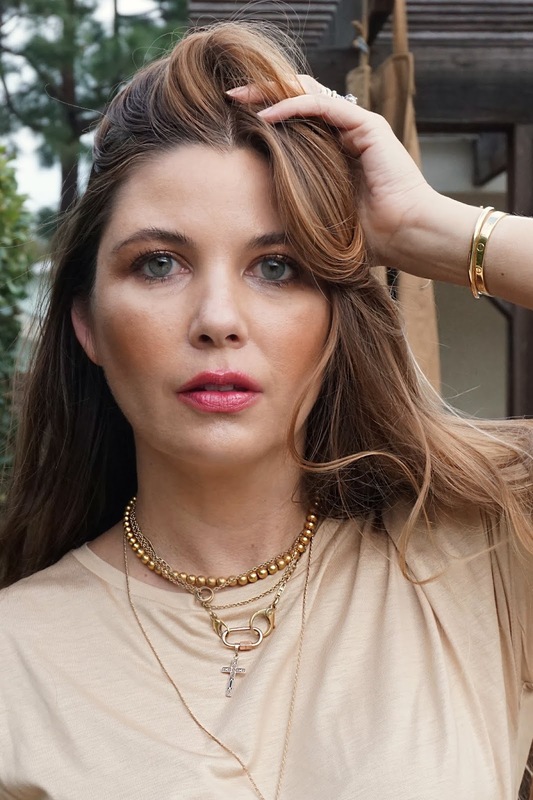 Good things ahead, including the *Suqqu S/S 2019 Collection, a brief Valentine's Day Gift Guide and my thoughts on the new *Hourglass Vanish Liquid Foundation (spoiler alert...Beige is my perfect match I'm loving it!). Sending love and warmth your way! Beautiful post.....I love the look of the new luminizers! I was wondering if you would mind sharing what size lock you are wearing? I am thinking of tteating myself to one and yours seems like the perfect size! Rachel, you looked like a young, beautiful woman in these pictures. Will you share the foundation you wore? Was it Cle de Peau? Love your site.